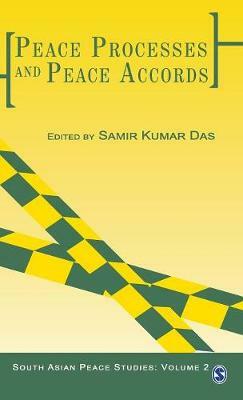 The second volume in the South Asian Peace Studies series, Peace Processes and Peace Accords looks at the political question of peace from three perspectives: the process of peace; the contentious issues involved in the peace process; and the ideologies that come in conflict in this process. Arguing that peace is not a one-time event to be achieved and rejoiced over but a matter to be sustained against various odds, the contributors show that the sustainability of peace depends on a foundation of rights, justice and democracy. Peace accords, they maintain, are only a moment in the process-the very act of signing an accord could mark either a continuation of the same conflict, or simply its metamorphosis. Therefore, as this volume shows, `negotiation` should be redefined as `joint problem-solving` on a long-term sustained basis, rather than `one-off hard bargaining`.